This entry was posted in It's Monday What are you reading? and tagged A.G. Ford, Benjamin Alire Saenz, Chris VanAllsburg, Cybele Young, favourite illustrators, fiction, Floyd Cooper, friendship, Geoff Waring, Margaret H. Mason, Mina Javaherbin, Monday reads, nonfiction, novels, Peter McCarty, Phyllis Root, picture books, Randy Cecil, Taeeun Yoo, Will Hillenbrand, young adult selections by carriegelson. Bookmark the permalink. You did quite a lot of reading for having to do grades also! (I would have written longer book descriptions because that would be part of my procrastination strategies.) I think you recommended Sleep Like Tiger a couple of weeks ago. I got it this week and absolutely loved it. My library has some of your titles from this week so I look forward to checking them out. Thanks for the recommendations. Have a great week! I’m so pleased you enjoyed Sleep Like a Tiger. A really gorgeous book! Yes, I am looking for many excuses to avoid these reports . . . but they really need to get done! As always, I’d rather be reading. What a great week you had. I just ordered my copy of Aristotle and Dante… Can’t wait to read that one. 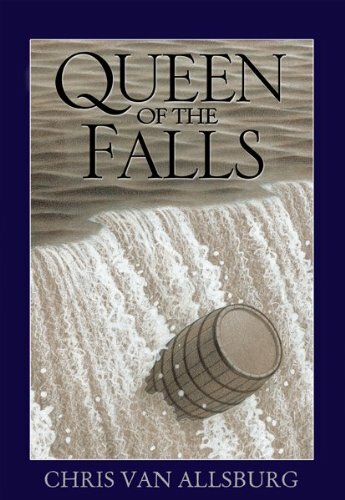 Looking for a Moose and Queen of the Falls look great! Enjoy your week! 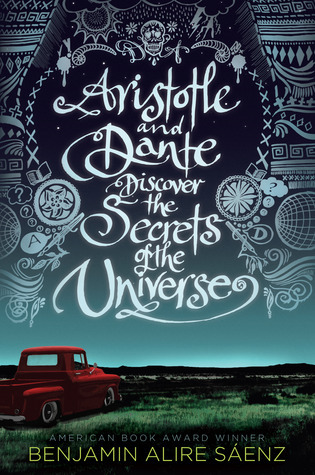 You will love Aristotle and Dante. Just so much right about that book. Wow. Queen of the Falls so interesting. I had a little girl who was away when we finished reading it ask me to lend it to her so she could finish it. She was so invested! You read a lot! And so many I haven’t heard of before! 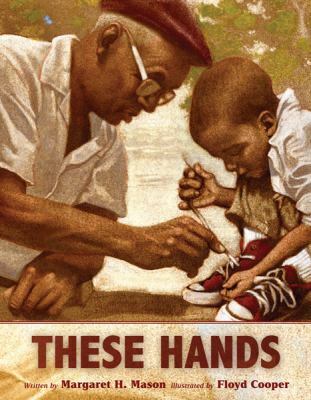 Aristotle and Dante will be one when I can concentrate again–I’ll save it for April vacation– and These Hands looks beautiful. 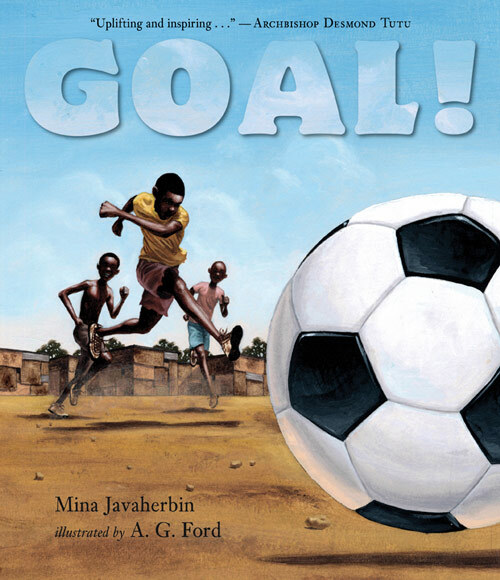 I’ll have to check out Goal as a mentor texts for all of the kiddos who like to write about sports. Thanks, Carrie. Have a great week. The language in Goal! is just lovely. And yes, my kids were such keen listeners – soccer is a favourite sport. I found Aristotle and Dante a very easy to read book – lots to think about but reads beautifully. It it a treat. I haven’t heard about the Oscar series yet, but worth checking out. Have fun with your marking! Oh you will love Little Red Fish – we share that similar taste! I read it to my kids with a volunteer in the room and she was just blown away by the book. She had a little tear. I highly recommend Aristotle and Dante! 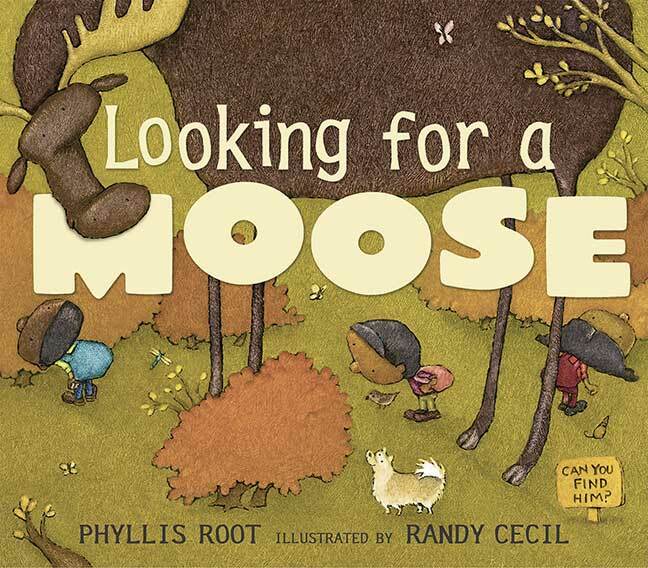 I’ve noticed that the moose is a very popular animal in picture books lately. Yep. Moose and Bears. Everywhere you look! 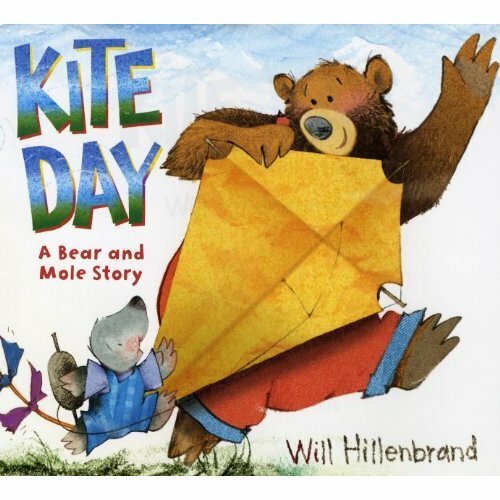 I’m so pleased you are able to find some good picture book ideas! The word play really is so much fun. I think you will love Aristotle and Dante – it is a beautiful book about family. I can’t wait for these reports to be done! I want to have some read aloud marathons with my own children. We are LOVING Emerald Atlas! FANTASTIC read aloud- Looking for a moose!!! 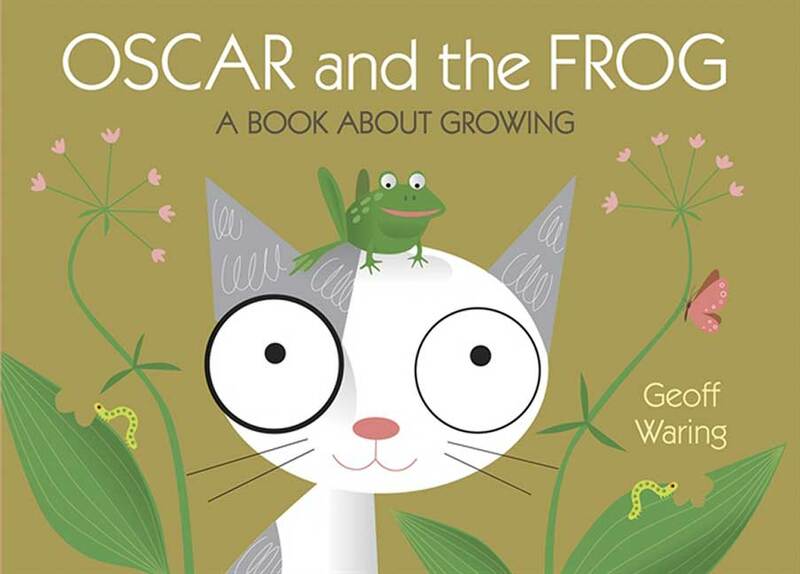 Excited to read Oscar the Frog, (others look good too) think it will fit with some curriculum requirements… Thanks! Yes! I am very excited about these Oscar books. Think I’m going to order the entire set! Some seriously fun books this week. I am going on the hunt for The Little Red Fish. Looks so cool. 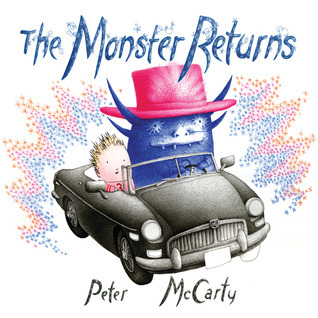 It is really a fantastic book about the magic of books and imagination. It was definitely a pleasant discovery at the public library! Hi Carrie-love Queen of the Falls. And I think we’re trading good & interesting books. 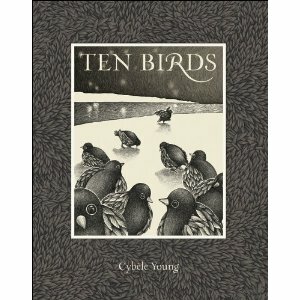 I’ve put These Hands, The Little Red Fish, and Ten Birds on my list. Wow-they look good! Thank you! Great Linda! I hope you enjoy these titles as much as I did. These Hands would go beautifully with some of the other titles on your list in the historical fiction genre. I love Monday Reading posts so I can learn about so many more great titles! Thanks for stopping by! 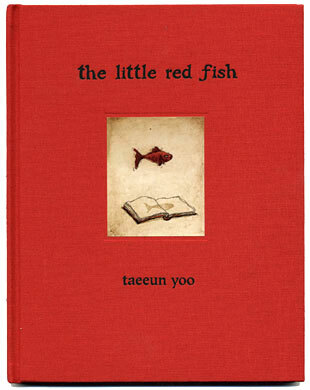 My son loved The Little Red Fish! He really enjoyed Kite Day, too. 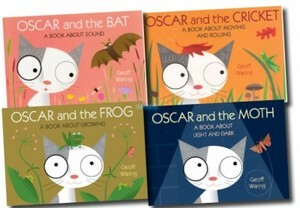 I’ve also been very impressed with the Oscar books. They do a great job of explaining various concepts. This is a great list! Thanks for sharing it!